The stunning Icelandic highlands from Landmannalaugar to Skógar will capture your nature loving heart. 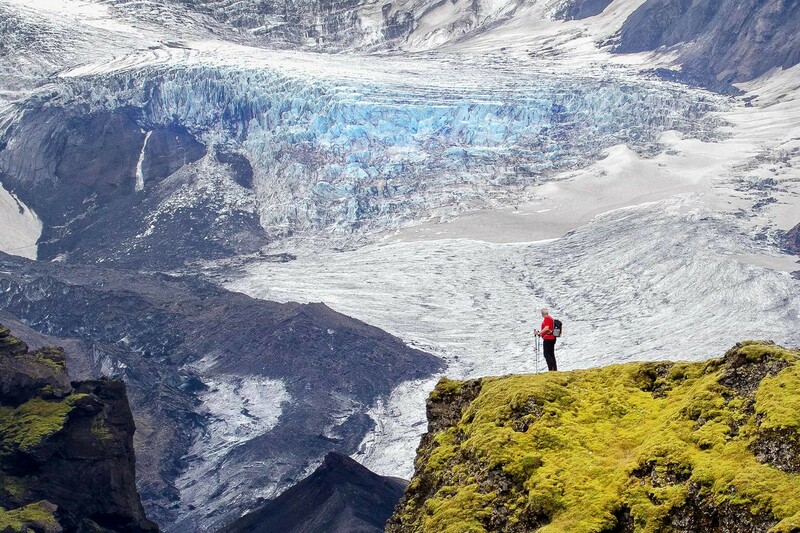 By combining two of Iceland’s best known hikes, you get an unbelievable seven day trek through diverse natural landscapes. Your trek kicks off at the famous geothermal area of Landmannalaugar. Your knowledgeable and highly experienced guide will lead you over multicolored hills and black sands, alongside small gullies and great canyons, through rich green valleys, between gigantic glaciers, and past wonderful waterfalls. Along the way, you will witness what makes the Icelandic highlands so special. After hiking over the fascinating terrain in Fimmvörðuháls, you will end the trek at the popular Skógarfoss waterfall. In the evenings, you will relax and rejuvenate in cozy mountain huts and enjoy delicious Icelandic meals. Embark on an adventure that effortlessly combines the true spirit of this part of the country.